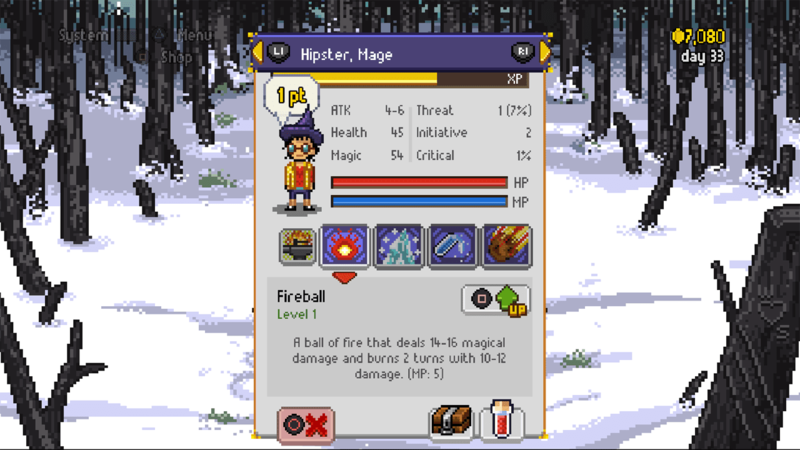 Set out on a grand adventure in this turn-based, retro style, pixel-art RPG, inspired by the great titles of the 90’s. Take on the roles of in-game players taking on the roles of their characters in a traditional pen and paper RPG session in the ultimate meta roleplaying experience. Please be invited to introduce yourself. Who forms Behold Studios? Hey! I’m Saulo Camarotti, founder and producer at Behold Studios. We’re a small independent studio from Brazil, creating games since 2009. We started as a work for hire company, but since 2012 we realised that we wanted to make indie games. That’s where we are until now. 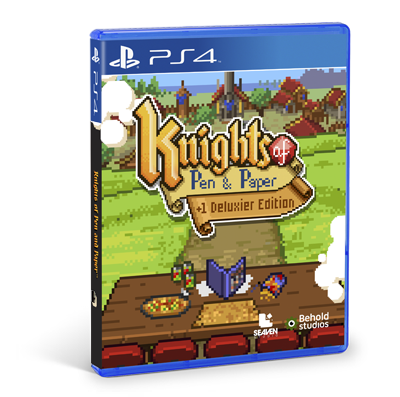 Obvious question, but are you a fan of Pen and Paper games? What is your favorite Pen and Paper game? We used to play a lot of Dungeons and Dragons. AD&D, D&D 2nd and 3rd edition, and GURPS. But now I prefer playing a game like Dungeon World or even a board game with RPG elements, like Gloomhaven or Descent. Any P&P game you can suggest to newcomers? They’ve become more and more popular again in the past few years and there are probably a lot of people willing to give it a try. I think it all depends in what type of game you’re looking for. If it is something more related to battles, skills, combat moves, Dungeons & Dragons is the best option. If you like more of a roleplaying game and story telling, you could go with a Dungeon World system. 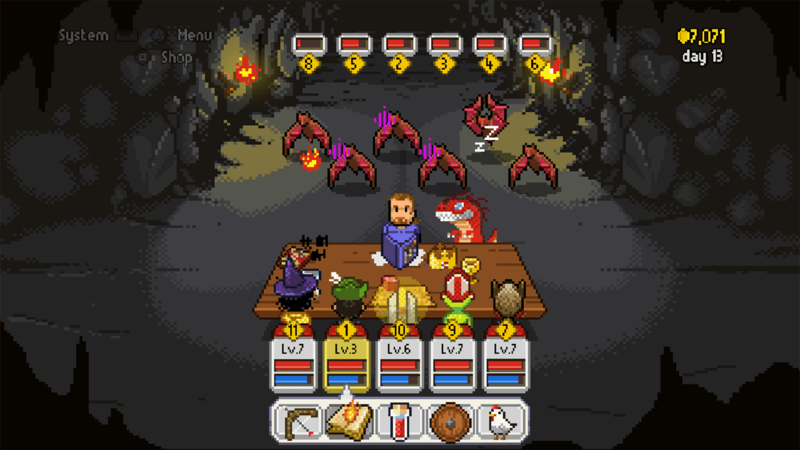 How did you come up with the idea of developing Knights of Pen & Paper? 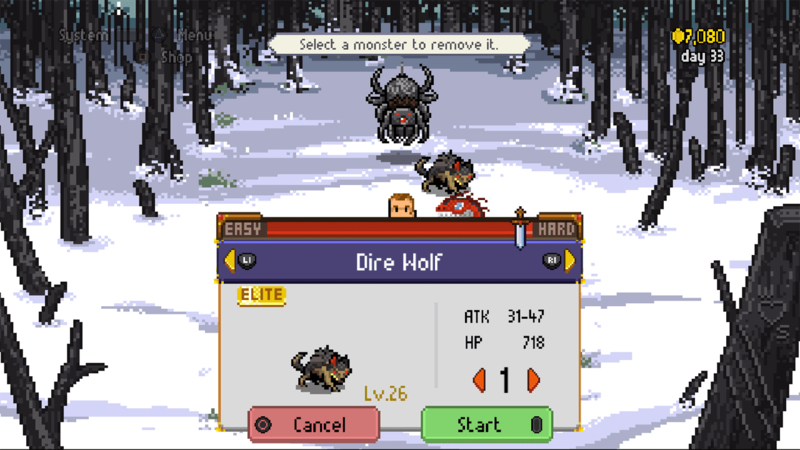 In 2012, we were on a trip, talking about creating a RPG Digital Game. 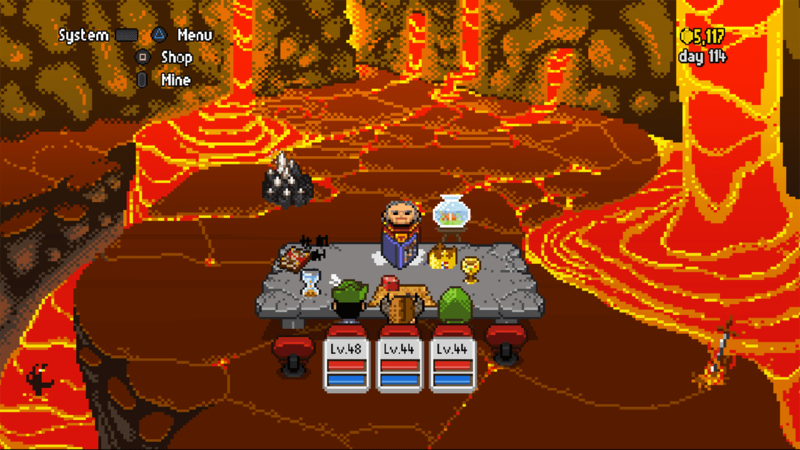 And one thing come up to our minds: “How can we create the most simple and fun experience about the true RPG?” That’s when we realised that we could do a table top rpg manager, not just the battling and enemies and stuff, but also the part were you gather your group of friends and play together. The game contains many references to geeky culture and reminds us of these wonderful games from Sierra in the 90s and even Earthbound. So were there any video games that inspired you when making your own game? We kinda got very inspired by Final Fantasy and Pokemon. But we have some other inspirations as well, like Earthbound as you said, Legend of Zelda and Diablo. What was the most difficult part during development? This game was created when we didn’t have a proper studio. We went everyday for 6 months to a coffee shop, opened our computers, and created the whole game there. We were out of money, having to do some side jobs to keep us going, and sometimes we couldn’t even afford a coffee or a bus ticket to get there. That was hard, but we only remember good things about this experience. Any new projects? 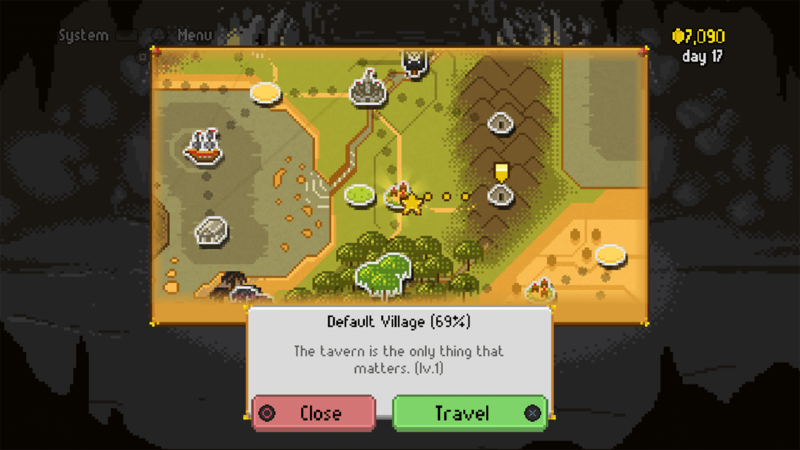 Knights of Pen & Paper 3… with local co-op maybe? We’re working on a multiplayer co-op game about living together in a spaceship, called Out of Space. Next year we’ll be announcing it properly. Anything you ever wanted to say in an interview? Hm, lately i’ve being thinking a lot about where games are going, and it reminds me the history of cinema. In the beginning of the last century, movies were a technological thing, were they would put images into movement. But later that same century, around the 40s and 50s, they realised that movies could be a new media for art, and they started creating this marvellous movies, like Casa Blanca and Singin’ in the Rain. I think games are having the same transformation. In some years, it will not be that important the amount of models and hyper-realism of the rendering. The stories and messages that we put in our games will be more important. The mechanics and the experience could be art, expression, and could make people travel to more deeper feelings and experience more humane things. In the past few years, physical board, tabletop and pen & paper games have become more and more popular again. The times in which these real life roleplaying games were for a small niche only are long gone. Roleplayers share the same passion about their hobby as we, collectors of physical video games, do. The guys behind Behold Studios managed to combine both of their hobbies and the outcome is a unique and beautiful RPG. 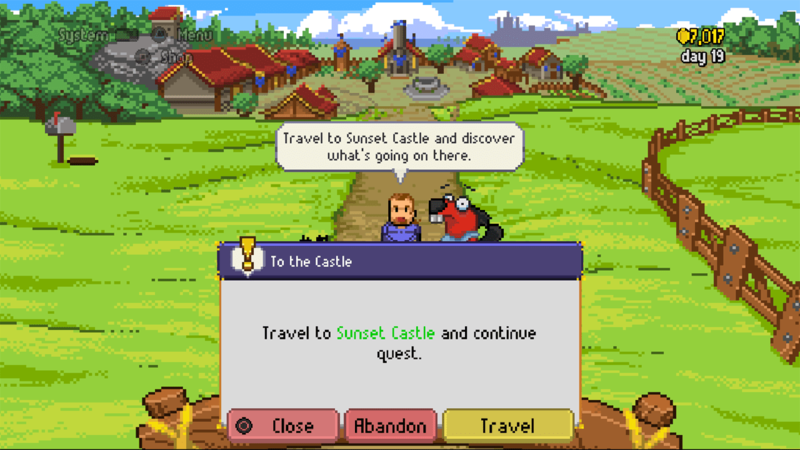 RPGs sometimes tend to be too time intensive and too immersive. Not that immersivity is a bad thing, but for people who like to play only occasionally after a long day of work, it’s often hard to familiarize with these fantasy worlds. 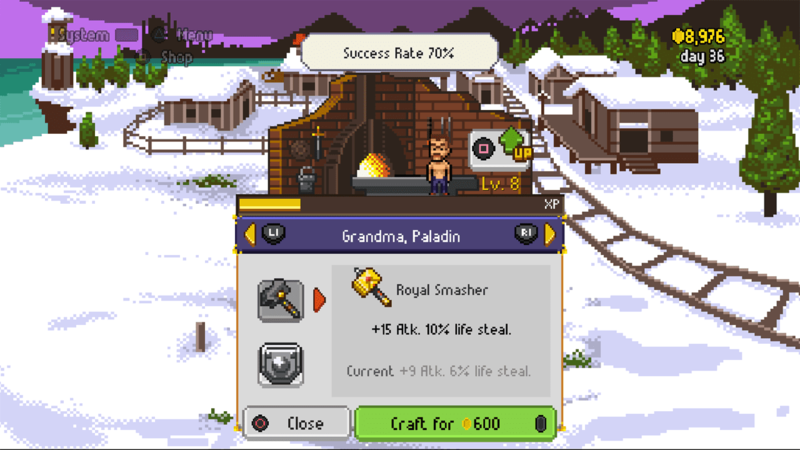 Knights of Pen & Paper on the other hand is so humorous and light-hearted, that it can be enjoyed by everyone from RPG veterans to more casual gamers. It can’t be overseen that the developers are huge fans of the genre and great titles like Earthbound, when looking at how much love they put into detail. 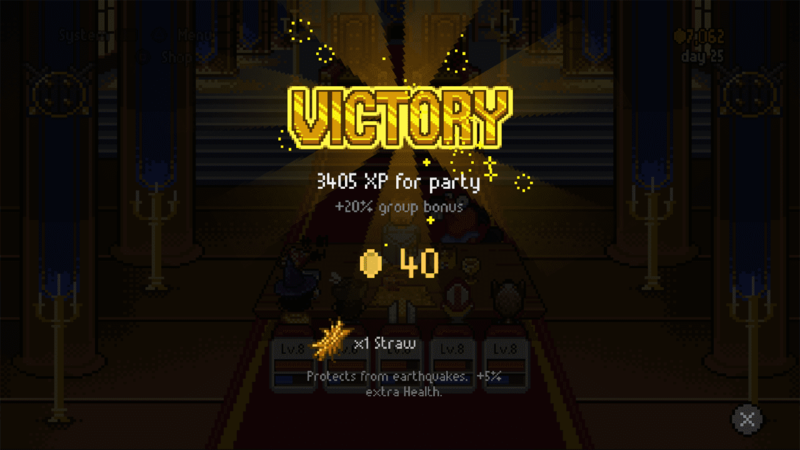 Knights of Pen & Paper is a unique and extremely addicting game which never fails to amaze us. Millions of people have already played the PC and mobile versions, so we are very happy the game finally makes its way to consoles and we are allowed to be a part of this.